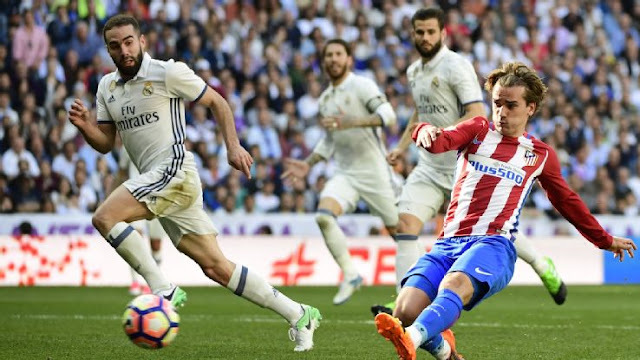 iDiski - Soccer Blog and Football News La Liga news Madrid Derby Predict your Score? Madrid Derby Predict your Score? Outside the Wanda Metropolitano, Atletico Madrid's new home some twenty kilometres away from the Vicente Calderon, are a series of plaques honouring the club's most significant players. Built on an exposed and dusty patch of ground to the northeast of the city, it's not exactly Hollywood Boulevard and it's not Vine Street either, but that's more or less the idea: it's part of a plan to create a sense of continuity, celebration, identity and history that could bridge that gap between this bit of no-man's land and what for half a century was, and still is, atletico country.